Again, the saying that “First impression matters” resonates well with all of us. In this piece, I give you an introduction into tools that help you build strong visual presence for your websites. Coreldraw to me is not a tool. For me it represents flexibility and the ability to get freedom of expression of that concept that lies deep within your inner man. Speed is also a major factor. In our jet-age today, speed counts in all you do. 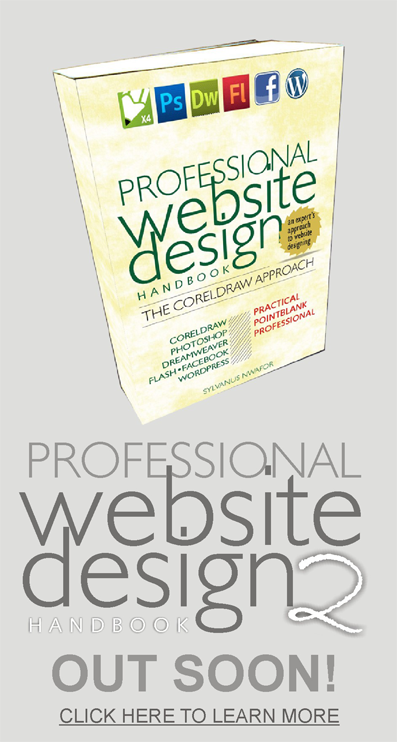 With the tool, you can boast of getting quality work done within a very short frame of time. Let us get to know a little about the tools in focus here. 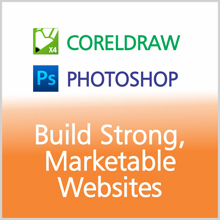 the Corel Corporation in Ottawa, Canada developed CorelDraw. It was initially release as a vector graphics Editor in January 1989. Adobe Photoshop, a raster or bitmap graphics editor was initially launched in 1989 and was rebranded in 2003 (Creative Suite). Adobe Systems were responsible for its development. The application written in C++ is a desktop program. It is available in more than 27 languages today. Okay, quite a bit of history and technical jargons here abi? But if you look closely, there will be a take here that we will need all the way. A recurring decimal if you like to call it. I mentioned vectors and bitmaps above. Vectors in the simplest form of its definition are scalable graphic elements that do not lose definition, sharpness on magnification. Examples here are text, illustrations, graphs, icons, special characters etc. Just like vectors are graphic elements like an image that may lose definition or sharpness (for the lay man) on magnification depending on its resolution. Examples are images, photographs, scanned documents etc. You see, there’s a clause here…depending on resolution. Resolution for bitmaps is what determines the details of that particular element. This shows in how sharp and clear (without those blurs you see) or how blurred an image is. In clear essence, when an image has a reasonably high resolution, the resulting image comes out sharper and clearer. On the other hand, if an image has a low resolution, the image most likely would appear blurred. Wireframing could be rough sketches or drawings on white paper showing the architecture of your website. It could also be computer generated mock-ups representing the skeletal framework of a web page. With Coreldraw as described in a video I will show you later, creating a wireframe is a breeze. They are visual guides, page schematics or screen blueprints usually created by User Experience, UX, professionals also called Interaction Designers. The basic elements of a great wireframe show information, navigation and interface design and structure of the proposed website. Wireframing a website shows the way to arrange elements to best accomplish a purpose, goal or objective. It depicts page layout or arrangement of websites content including interface elements and navigational system. It shows the project’s design functionality, behaviour and priority of the content. With a website’s wireframe, thinking becomes tangible as informed by the client’s brief to meet project’s objectives. Now, as I promised earlier, here’s the video on how you can create a wireframe. As a BONUS, I also give you a video introducing Coreldraw and Photoshop. Just send me an email saying: “Please send my bonus video introducing Wireframe, Coreldraw and Photoshop.